I’m not a tuna fan. Opening a can of tuna is one of my least favorite things to do in the kitchen. My husband, however, is a huge fan. HUGE. We have very different tastes, to put it mildly. One day he came home with tuna salad from the Whole Foods deli. He remarked about how amazing it was and how I should try it. I did. For tuna salad, it was pretty good. Then I saw the price. $10,99 a pound. Seriously!?!? Are there gold flakes in it? I pay less for steak! That’s right, you can go to the meat counter and get a nice steak for less money. And I’m paying more for tinned tuna? Consider the gauntlet thrown. Can I make this cheaper? Yes, I can! Even using dolphin safe, pole caught, made in America tuna. Although, this recipe would be much, much cheaper using less expensive tuna. Not that I would. I’m all for made in America. First, I had to deconstruct the Whole Foods salad. Corporate espionage, if you will. The tuna was definitely higher end, and the salad was studded with olives. 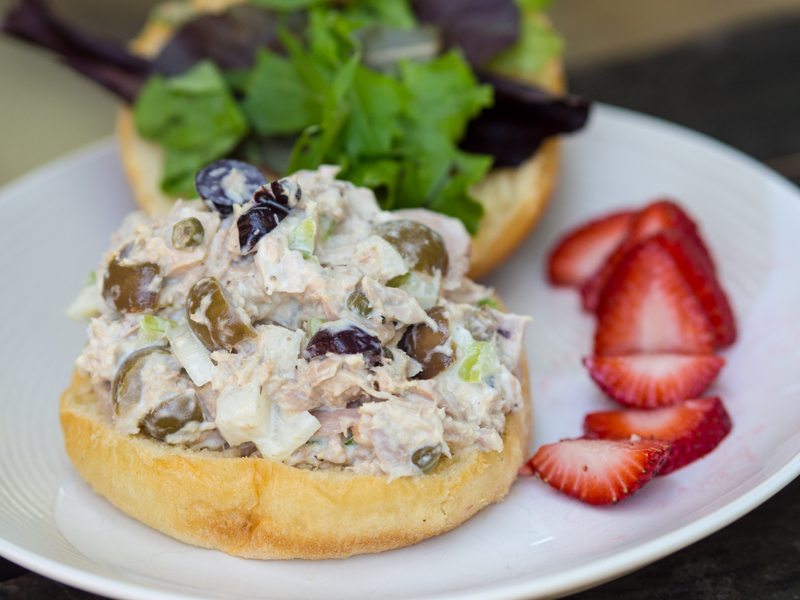 Where go olives, there are usually capers. The usual suspects of onion and celery were there in the salad as well. Seriously, this was no big deal. And, I got to customize it. My husband likes a wet salad, so I added lemon. I also added garlic powder. I’m not a fan of biting into raw garlic. Finish the whole thing off with some mayo, salt and pepper, and….. mission accomplished! These measurements are relative. It’s not like you can really mess this salad up. If you like more onion or celery, by all means you more! 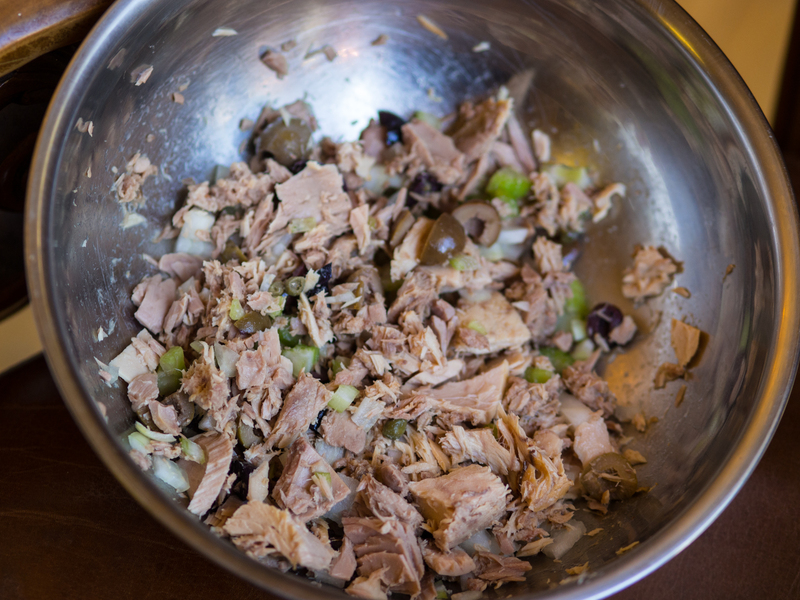 Combine the tuna, celery, onion, olives, capers and garlic powder in a bowl. Break up the chunks of tuna if they are too large. Add mayonnaise until you reach your preferred consistency. Sample the salad and salt and pepper to taste. This entry was posted in Cheap Eats at Whole Foods, Low(er) Carb, Main Dishes, Seafood and tagged brunch, easy, lunch, Olives, salad, sandwich, tuna on September 7, 2014 by dawn of food.